LISCO safety padding is for solid walls and manufactured using 2” high density polyurethane foam mounted on 7/16” wood backing and covered with 18 oz vinyl coated polyester. The pads will vary in size according to the measurements of your facility. 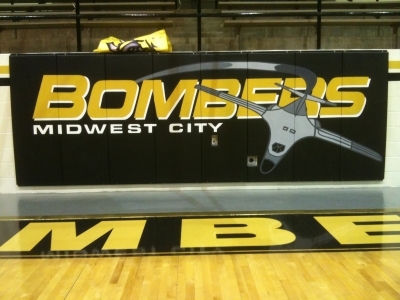 Most orders are for 6’ tall x 2’ wide x 2 7/16” thick pads placed side by side on each end of a basketball court. Wood backed safety pads are mounted directly to the wall using “Z” railing (hidden), “L” channel railing, industrial hook and loop system or mounting screws. All LISCO safety padding is available with custom artwork. LISCO custom artwork is available in 1, 2, 3 and 4 colors. LISCO custom artwork on padding varies in size according to the application. 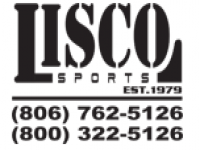 LISCO custom safety padding is custom fit to go around columns, windows, stairs, corners, poles or any surface that will not work with pre-fabricated hard backed padding and where custom cut-outs in pads are necessary. LISCO custom safety pads are fabricated using either a wood back or all vinyl covered foam. Pads manufactured as all vinyl covered foam have a 1” lip top and bottom with grommets every 12” and secured to the surface by using either 8” (120 lb test) heavy duty ties or mounting screws.